We have spent our first night in our new bedroom which we were reliably informed by Daughter was 'like a sauna up there'. Perhaps a slight exaggeration. We also get to test the new bed out of course. Today is, of course, Valentine’s Day and L gets me a box of Milk Tray, which is much appreciated but is a sort of roles reversal. Isn’t the man supposed to buy the chocolates? I mean who's ever heard of the Milk Tray Girl? But then if I got her chocolates she’d only give them to me anyway. So at least this way round it cuts out the middle man. L runs a new parkrun PB at Beeston, showing that she obviously got her preparation spot on last night at the beer festival. Derby play Reading in the 5th Round of the FA Cup. Stephen Warnock, a defender we acquired from Leeds United, makes his debut but it's not an illustrious one as he is sent off before half time. Despite playing well with only ten men, Derby lose 2-1. This is where you're supposed to say it's time to concentrate on the league. In the evening we are at Broadway where we have a meal, see Love Is Strange and wash it all down with a couple of Centurions. Love Is Strange is about a couple who have lived together for four decades before suddenly deciding to get married. This is a decision that effects their life in more ways than they would have expected, mainly because they are gay. 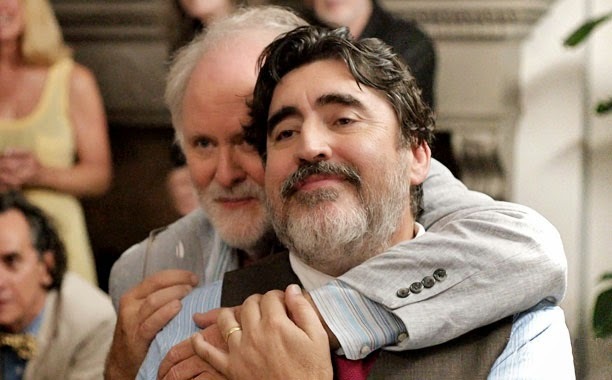 Ben (John Lithgow) is a retired painter living on social security and George (Alfred Molina) is a music teacher in a Catholic school or at least he was. When the school finds out that he is now a married gay man as opposed to an unmarried one and with the accompanying Facebook postings to prove it, the bishop isn’t happy and they dismiss him. 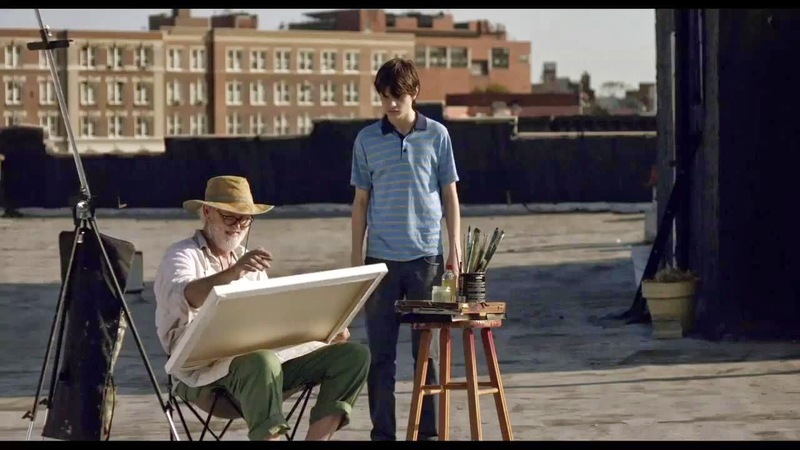 The loss of George's income forces them to sell their Manhattan apartment and to find somewhere cheaper to live. The sale generates less funds than they expected and they end up asking for assistance from friends and family. After a ‘friends and family’ meeting, which I’m sure only happens in America, the pair accept the offer of temporary lodgings but choose to live separately. They had the option to live together with a relative outside the city but, for some reason, they put staying in the city ahead of staying together. The pair being forced to live apart is the basis of the story and the film explores how it affects them and the people they stay with. The fact they are gay matters little, a similar scenario could have been applied to a straight couple. Ben moves in with the family of his nephew Elliott (Darren Burrows) and his writer wife (Marissa Tomei) where he shares a bunk bed with their teenage son Joey (Charlie Tahan). Which goes down about as well as you’d expect. George sleeps on the couch of their neighbours, a couple of NY cops, who are also gay and who live a hard partying lifestyle. Which also goes down about as well as you’d expect. The two find it hard to adjust and clearly miss each, so again you wonder why they didn't try harder to stay together. There are some interesting potential side stories such as Joey and his friend Vlad (Eric Tabach) and also Joey’s parents who seem very estranged but none of these are really progressed. Is the thing with Vlad, sexual, drug related or just confined to stealing books? Is Elliott cheating on his wife or is he really just working too much? It’s a sweet and unassuming film, well-acted but probably way too unassuming for my liking and with an odd ending. Afterwards we head off for something dark at the unlikely real ale palace of Annies Burger Shack. From there we stick out head in the Junkyard ‘craft’ ale bar but it doesn’t look my sort of place. Then we finish off with one in the Borlase before heading home.